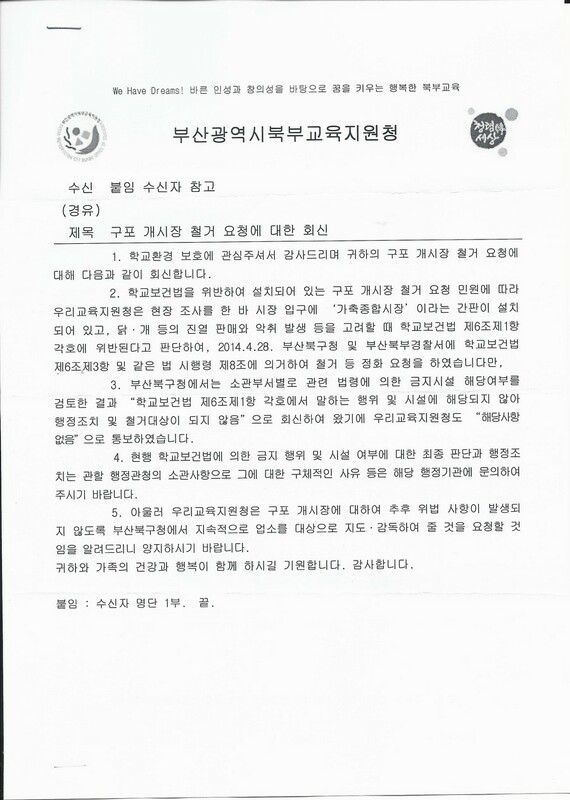 The Busan Bukbu Office of Education sent official correspondence to both the Busan Bukgu District office and the Busan Bukbu Police on April 28th, 2014 demanding that the Busan Gupo Livestock Market (also known as the Gupo Dog Meat Market) be relocated for being in violation of the School Health Act. However, they changed their position and responded to our protest letter saying that the Gupo Dog Meat Market is not in violation. Why did the Busan Bukbu Office of Education change their position regarding the Gupo Dog Meat Market? 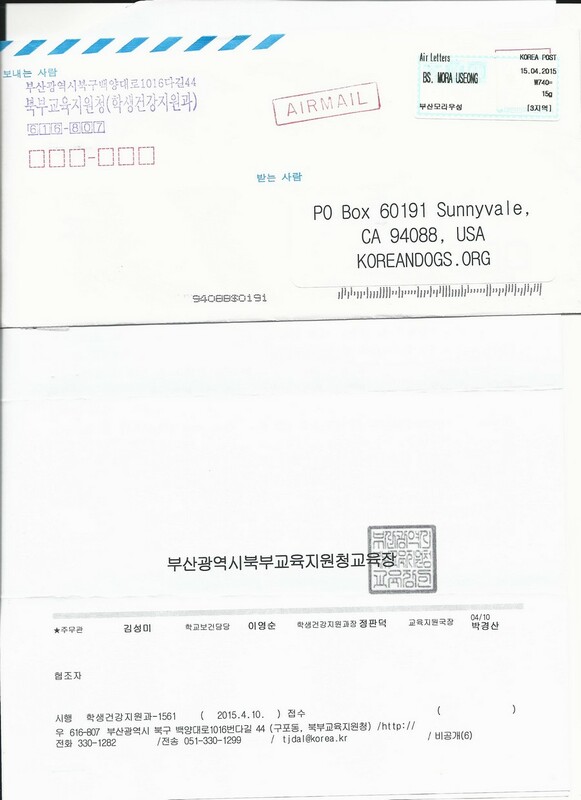 We received the following response dated April 10, 2015 from the Busan Bukbu Office of Education regarding the petition letter we sent to them on March 24, 2015. 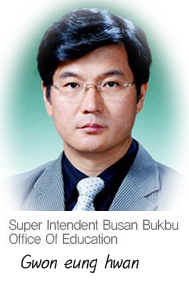 Click HERE to see the letter we sent to the Busan Bukbu Office of Education! Click HERE to see the undercover video by Ulrike Brunner on June 4, 2014 at the Busan Gupo Dog Meat Market! We Have Dreams! Happy Bukbu Office of Education that builds dreams with great character and creativity as foundation. 1. We appreciate your interest in the protection of the school environment. The following is our response to your petition regarding the request for the removal of the Gupo Dog Meat Market. 2. In response to your request for the removal of the Gupo Dog Meat Market for violating the School Health Act, we conducted an onsite inspection. We found a billboard stating “Livestock General Market” which was installed at the entrance to the market. Considering the display, the sale of dogs and chickens and the stench, we determined that it was in violation of the School Health Act, Article 6, Paragraph 1. Therefore on April 28, 2014, we made a request to the Busan Bukgu District Office and the Busan Bukbu Police that the market be removed or cleaned up pursuant to the School Health Act, Article 6, Paragraph 3 and its law enforcement ordinance Article 8. 3. However, the Busan Bukgu District Office’s departments with jurisdiction reviewed whether the School Health Act’s prohibited facility provision applies in this case and notified us of their determination that “the Gupo Dog Meat Market is not subject to administrative action or removal because the activity or the facility that is prohibited in the School Health Act’s Article 6, Paragraph 1 doesn’t apply”. Therefore, we informed the public that “there is no problem”. 4. The final determination and administrative action regarding the prohibited activity and the facility in the current School Health Act is a matter under the jurisdiction of the government administrative office. Therefore, please contact the government administrative office for any additional explanations regarding this issue. 5. In addition, please note that we will request that the Busan Bukgu District Office continuously supervise the businesses at the Gupo Dog Meat Market to prevent any violation of regulations in the future. We wish health and happiness for you and your family. Thank you. Attachment: List of recipient. The End. The health of children is not only about physical health, but also emotional and psychological well-being. Does the sound of screaming of dogs slaughtered, and the display of mutilated companion animals, not scar or disturb the psychological and emotional health of children? Will they grow up to be hardened or desensitized to the suffering and torture of animals? Will the future citizens of South Korea be heartless, compassionless, mindless automatons who will be lack empathy for other living beings? The 99.9% of South Koreans who are doing absolutely nothing to stop this horrendous cruelty are to blame for this travesty committed against the animals who are recognized as companions around the world. When will South Korea realize that they are hurting themselves and their next generation by choosing to look the other way in the face of this terrible injustice? Please add your voice to protest against the Busan Gupo Dog Meat Market’s violation of the School Health Act and the horrific dog slaughter. Click HERE for Call For Action! I am horrified at the barbaric treatment of animals in your country. I will not revisit or spend money on any of your products until this insanity stops. Save lives everyday, go vegan. The Korean men & the Chinese in China must stop eating dogs & cats. These countries should be ashame of themselves. Dogs & cats are families pets, not food on the table. I know God will send this people to 18th layers of hell. They should suffer the same way as they do to the innocent animals.